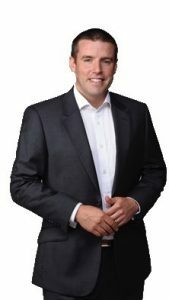 Barry Denham joined Synergy Global in 2019 as Team Leader – VIC. He started his career as a corporate lawyer with one of Ireland’s leading law firms, A&L Goodbody. Highlights included working on industry-leading transactions in mergers & acquisitions, commercial property, environmental litigation & commercial banking. It was in the firm’s Banking Department, that he learned all about Corporate Governance & Risk Management. As part of his values-centred approach, & as a complete contrast, he also worked in Education, as a House Master at Clongowes Wood College, one of Ireland’s leading private boarding schools. Later, as part of a career transition to environmental management, he undertook a Master of Environment with the University of Melbourne before joining the Victorian Department of Environment, Land, Water & Planning. He then spent eight years working in leadership roles in the Forest Fire Management Group leading the delivery of Continuous Quality Improvement. Highlights included financial management for the department’s R&D Program, which oversaw the investment of approx. $20m in R&D to support CQI/safety. This also included leading the design & delivery of comprehensive monitoring, evaluation & reporting framework for bushfire management across Victoria – an Australian first. Barry has been recognised for his innovative problem-solving skills in all his roles. This has included managing the implementation of a new business structure for over 1600 staff as part of a new public value business model for Forest Fire Management in Victoria. Other highlights have included the University College Dublin Law Faculty Gold Medal for Options for EU Expansion, & the Law Society of Ireland Prize for the most innovative business plan for a new solicitor. Whilst Barry is a generalist, for the last 13 years, he’s focused on enabling collaborative, evidence-based, values-led, individual, team & organisational improvement. It was this that connected him with Heather-Jane Gray, Synergy Global’s Chief Executive, who head-hunted Barry to become our Team Leader – VIC; ensuring that we exceed client expectations. He’s a member of the International Coach Federation (ICF) & is currently finalising his application for his ICF ACC.